China’s commitment to protecting the environment, cleaning up pollution and promoting global climate change initiatives could serve as a model for other developing (and developed) countries to follow. Government agencies are working hard to make their energy mix more sustainable and mitigate the adverse effects of using fossil fuels while dealing with sharp increases in domestic energy demand brought on by the world’s fastest-growing middle class. They’ve implemented major measures to introduce renewable power into their energy mix and are targeting to spend $367 billion on renewable power projects by the end of 2020. On the global stage, they invested $44 billion in overseas clean energy projects in 2017 – a huge increase from 2016's $32 billion total. Their effort to shift their focus away from the fossil fuel industry contrasts with the United State’s stance on climate change – pulling out of the Paris climate accord and introducing tariffs on imports of solar panels, increasing the cost of new solar energy installations in America. By following the key objectives of the Paris Agreement and the 13th Renewable Energy Five Year Plan adopted in 2016, China is establishing itself as a renewable energy superpower. The country plans that their carbon dioxide emissions will peak before 2030, and will gradually reduce afterward – all while maintaining a stable, expanding economy. China has made large strides in improving air quality in recent years with the average level of PM2.5, a key metric that measures microscopic particulate matter in air, decreasing by over 30% in major cities since 2013. Last year in Beijing, data from the US embassy in Beijing suggested that PM2.5 concentrations were 50% less than in 2016. The harrowing images of smog-blanketed cities, and new academic research studies suggesting that air pollution could cause one in three deaths, have put decreasing air pollution at the top of China’s priorities. In 2017, Beijing announced they would establish an "environmental police" force to crack down on polluters within the city -- part of a larger nation-wide program of punishing industries that pollute heavily, like auto manufacturing and the steel industry. In recent years, the country shut down 40% of its factories for not meeting standards of new emissions regulations. While getting tougher on major polluters has led to job losses and higher electricity costs, these initiatives will ensure a more sustainable environment for future generations and have laid the groundwork for new, environmentally-friendly companies and industries to thrive. In another bid to reduce CO2 pollution, China is building the world's first "Forest City" with nearly a million plants absorbing 10,000 tonnes of CO2. With 30,000 inhabitants, it will run completely on renewable energy sources and connect with a high-speed, electric rail line. By realizing that forests can serve as potential carbon sponges, China has worked hard to stop the destruction of forests and illegal mining. With roughly 208 million hectares of forested area, they have committed to planting an additional 6.66 million hectares worth of trees (roughly the size of Ireland) to improve air quality. China has made several major policy decisions to meet new energy standards. According to the IEA, it has already surpassed its 2020 solar targets – in part by recently installing a giant panda solar panel farm and building the world's largest floating solar panel. By doubling its solar capacity, it now accounts for two-thirds of solar power energy in the world. Wind power is another area of focus, with large turbine farms mainly located in the northern provinces. 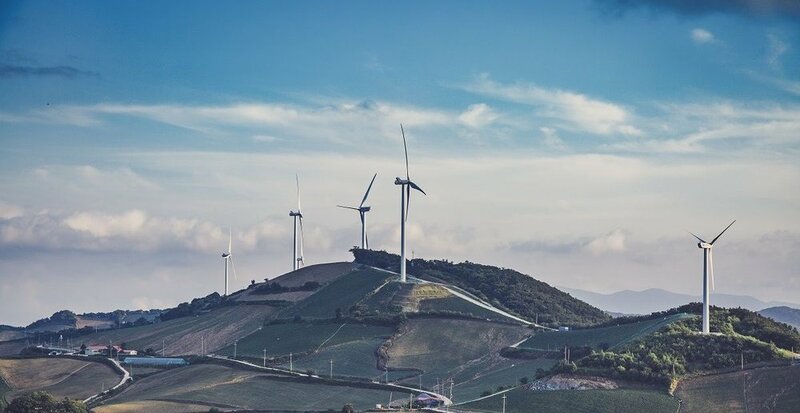 China has pledged to install 210 GW of wind energy by 2020, increasing the total number of installed wind turbines by 2.1%, according to the data published in the MDPI's Sustainability. In more rural areas, China has been promoting biomass projects for several decades. Biomass residues are widely used for cooking and heating in rural households, leading to lower SOx and NOx emissions. 2.74 GW worth of new biomass power capacity was installed in 2017, and about 900,000 households moved from coal to clean energy sources. These investments are the key to meeting China's goal of creating 10 million new jobs in the clean energy sector. China's best-selling consumer electric cars, from Tesla to BYD and BAIC EC-series, are benefiting from a huge surge in demand for EVs. China is the global leader in EV sales with over 1.2 million passenger cars (and almost 350,000 electric buses). By introducing new subsidy programs and laws which regulate the number of the vehicles on the street, China is working to alleviate air pollution in major cities (and the massive traffic jams that have plagued some areas). Last year, China announced that the Shenzen Bus Group replaced 6,000 vehicles with electric buses. They are also planning to impose electric-only zones this year. Following the collapse of diesel sales across Europe, car manufacturers have doubled their spending on electric cars. The demand for electric cars is set to outstrip supply by 2020 while the price of lithium-ion batteries, which power electric vehicles, will reach its peak. This year, Beijing's city administration has issued a regulation allowing only 100,000 license plates to be approved in 2018, 33% less than in 2017. This number is set to be reduced even further in the next three years. The number of people on waiting lists for getting new license plates has ballooned, and to get a license plate is like winning the lottery. 60,000 of these licenses are reserved for alternative energy vehicles, incentivizing drivers to make the switch. After years of relying on China's appetite for commodities like iron ore and coal to boost profits, miners may be seeing the start of a new phase of stronger demand for materials that are critical to electric vehicles and renewable energy technology. 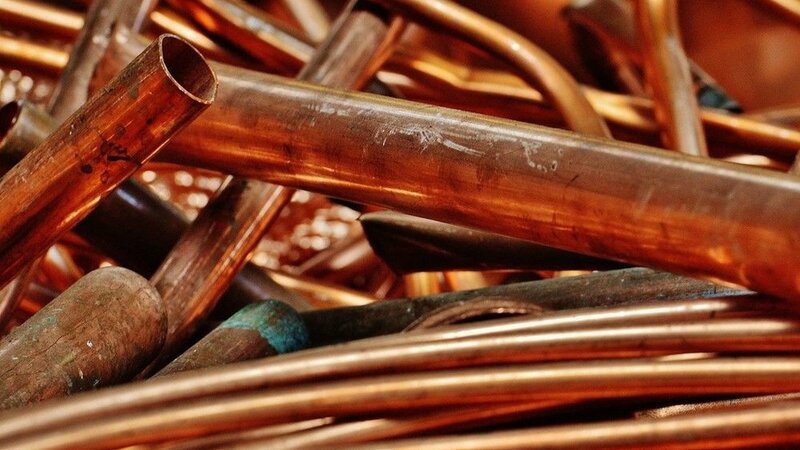 Copper, nickel, lithium, cobalt, lead, zinc – and silver, too, will be needed in large quantities to satisfy the growing demand from China and other countries that follow their commitment to renewable energy and sustainable development.